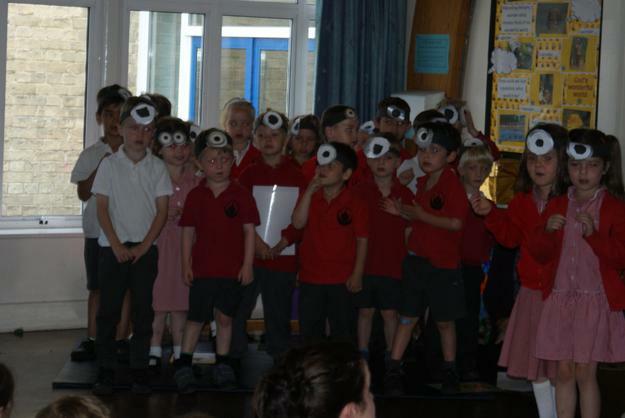 What an amazing display of learning we were privileged to see today. 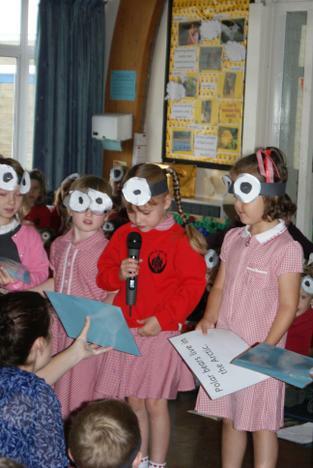 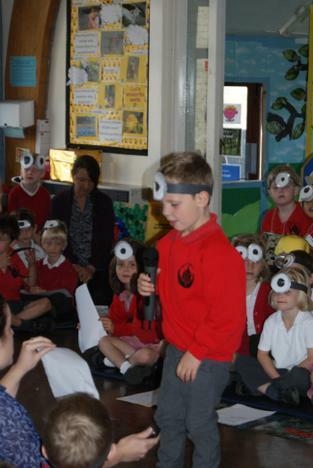 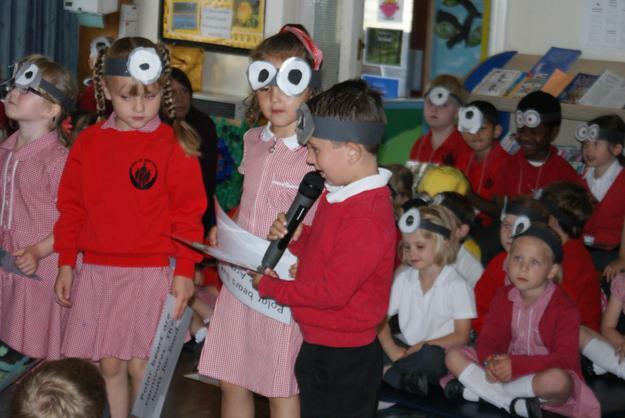 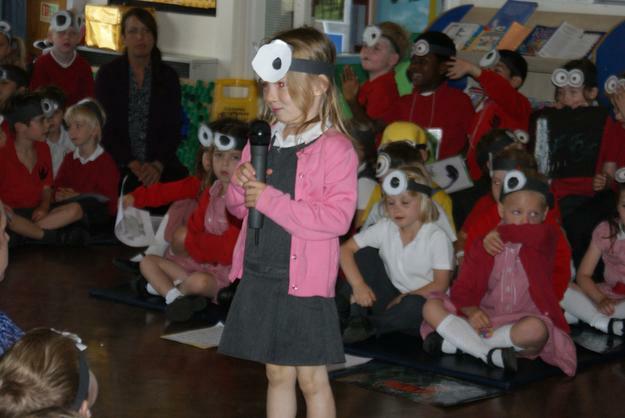 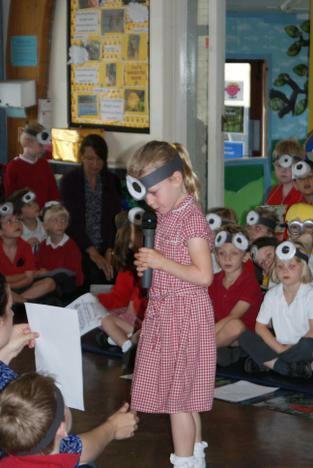 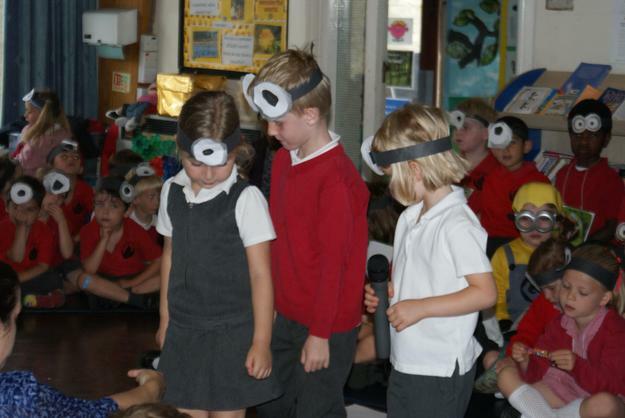 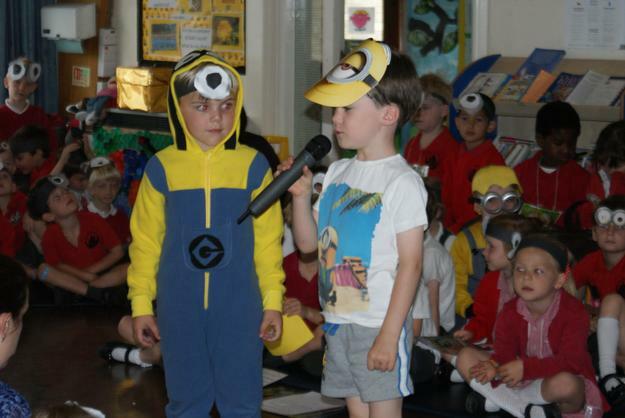 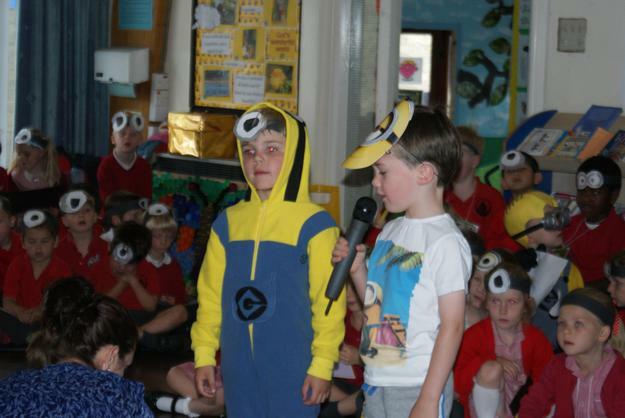 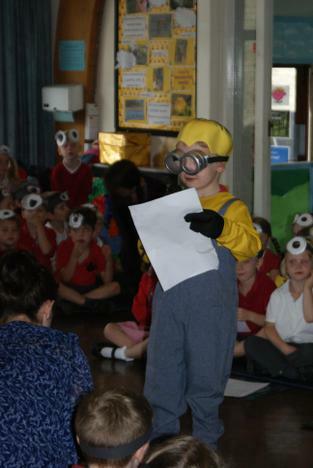 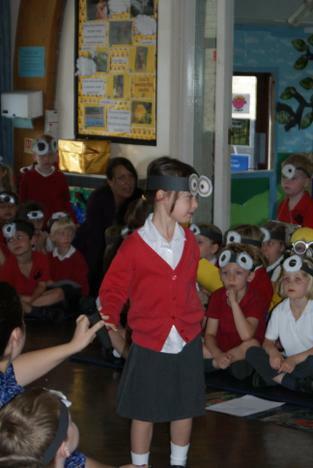 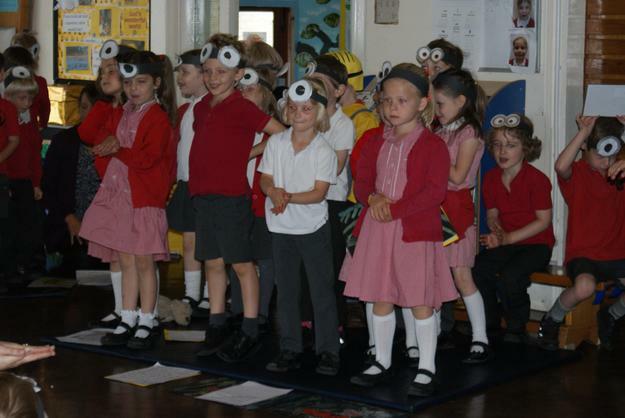 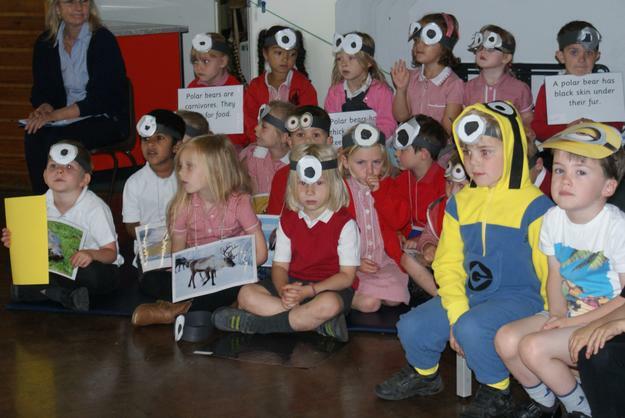 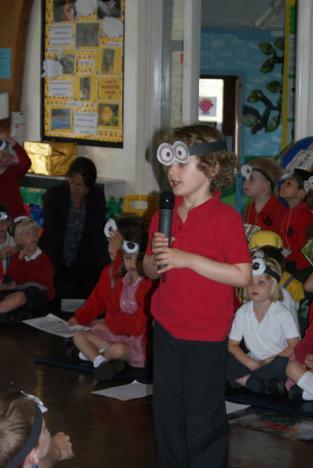 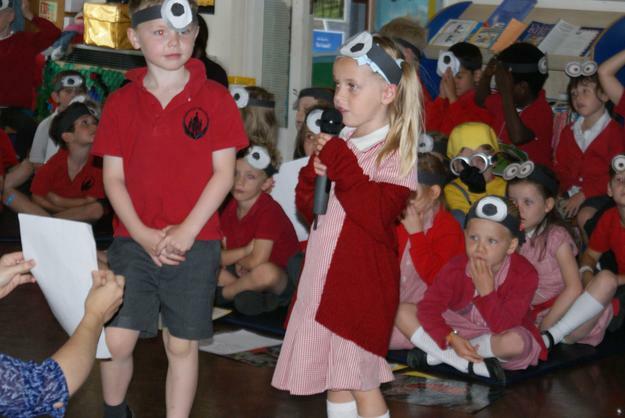 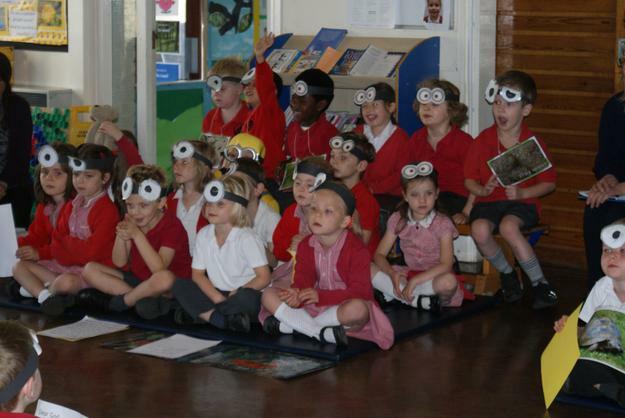 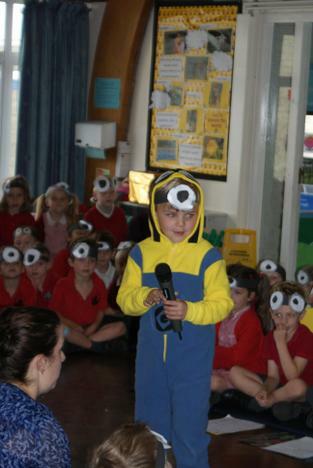 60 children/minions all engaged and sharing their learning journey. 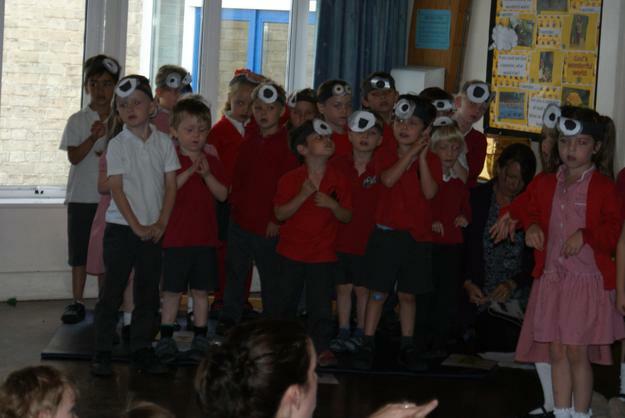 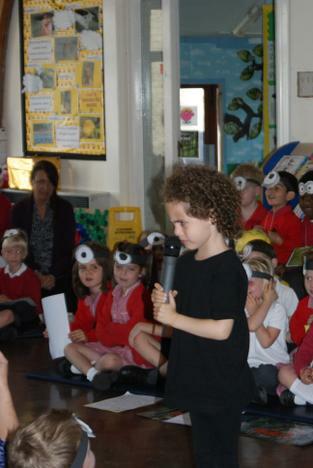 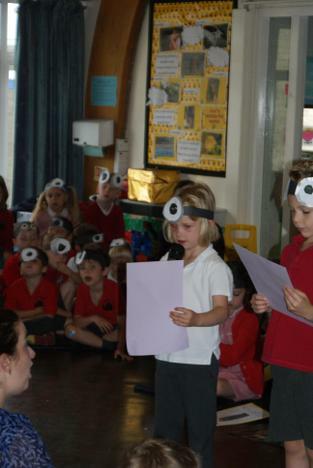 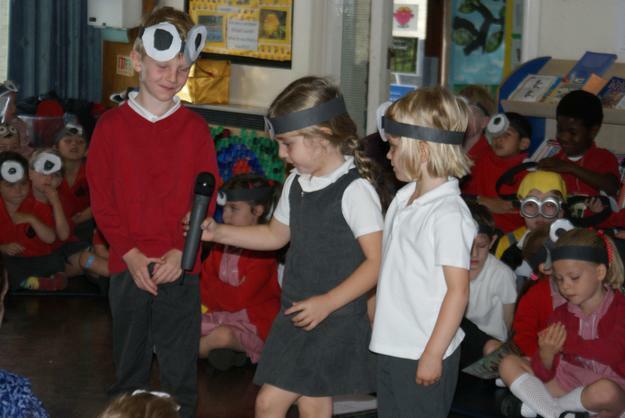 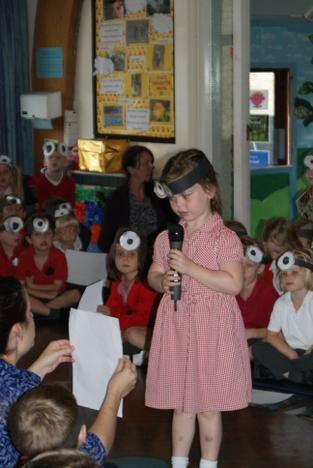 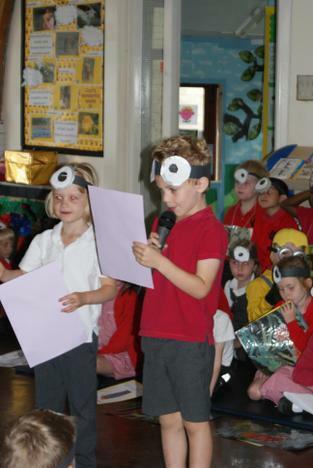 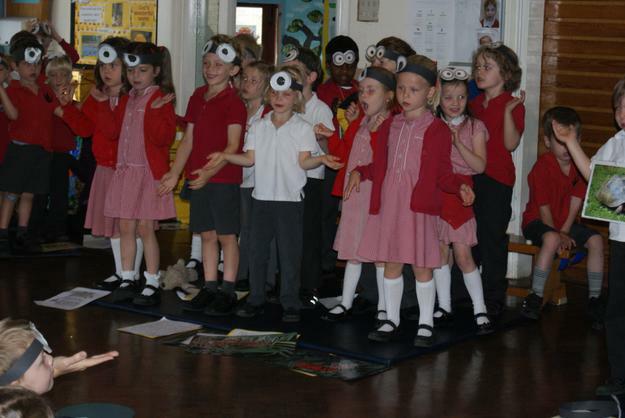 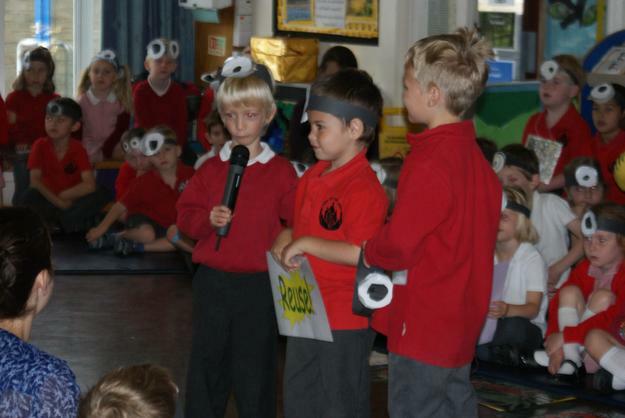 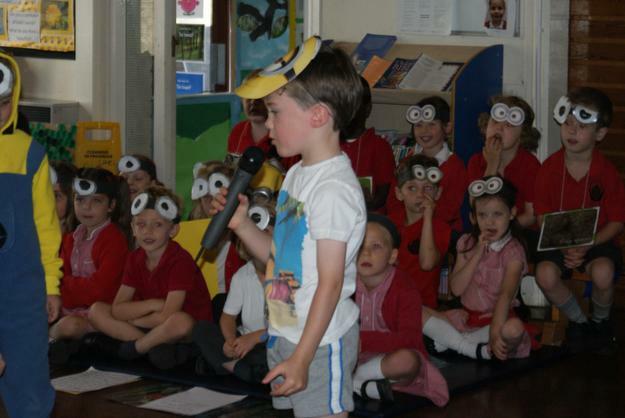 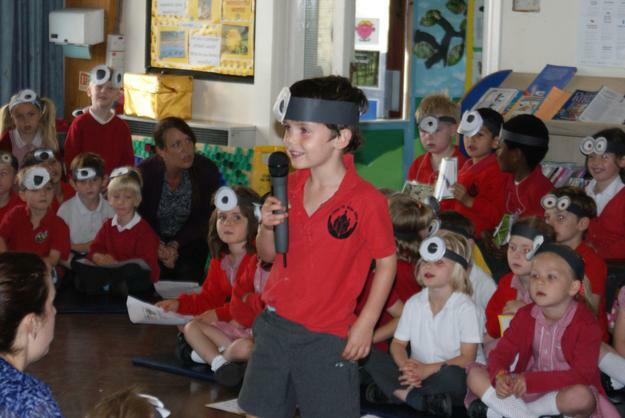 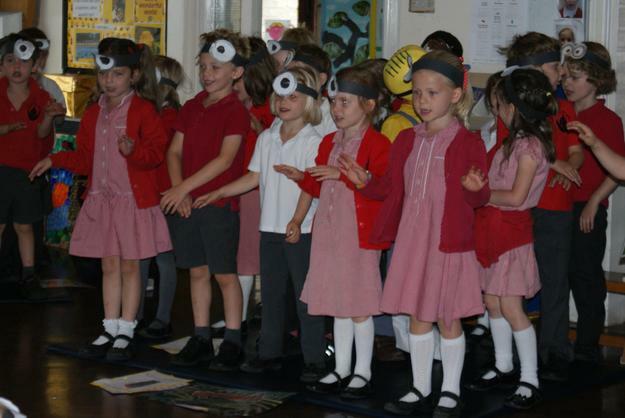 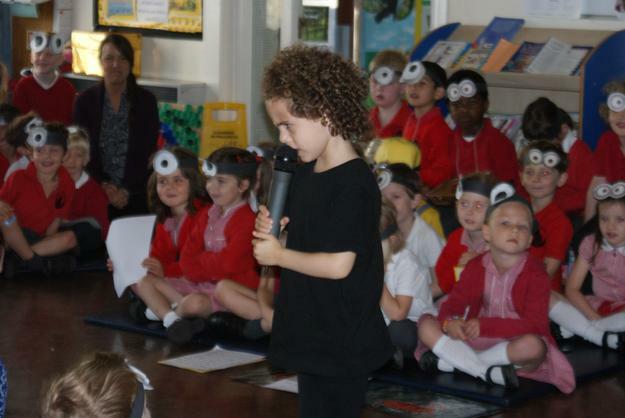 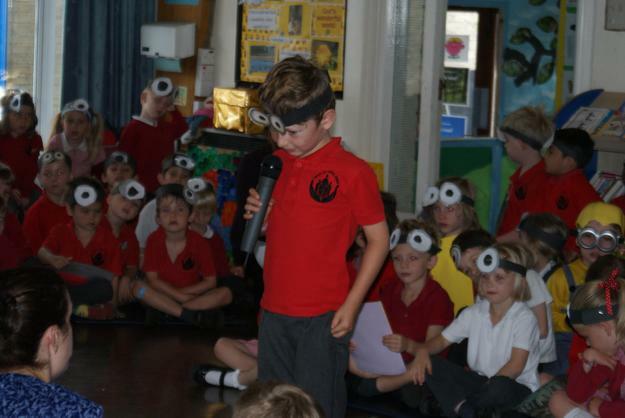 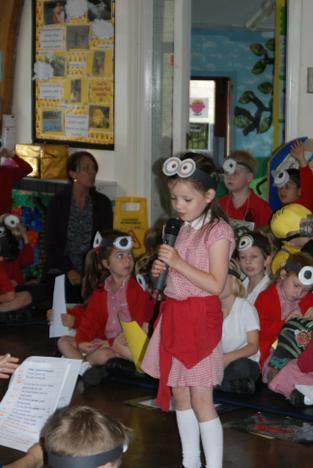 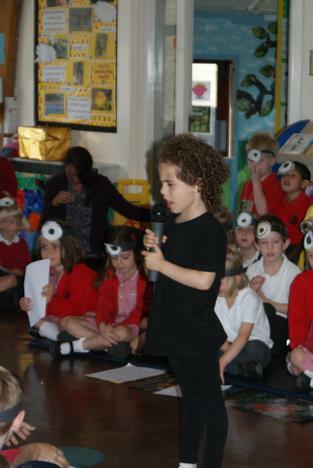 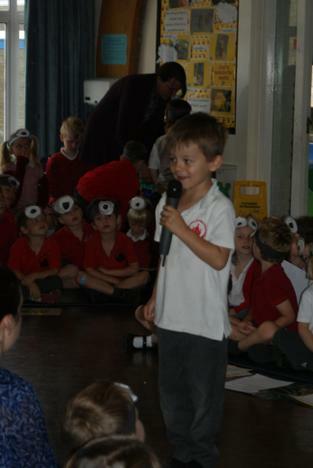 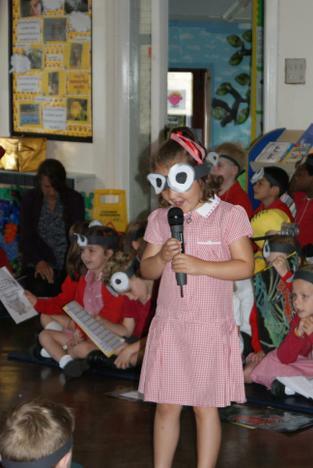 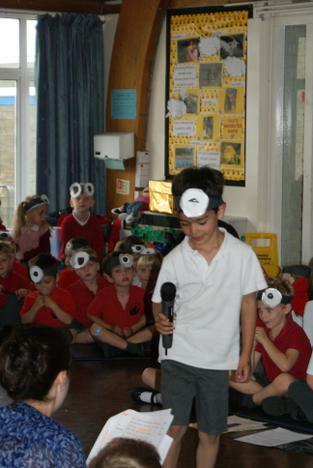 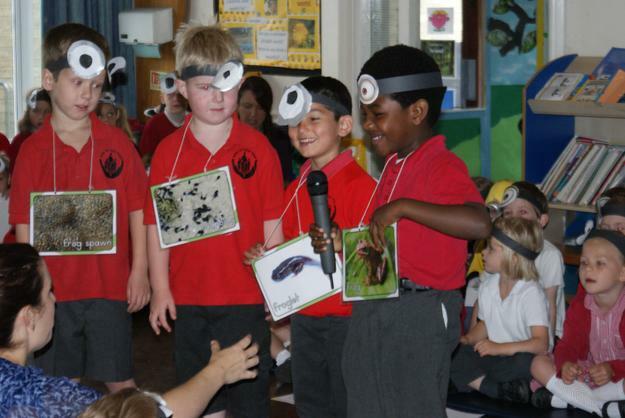 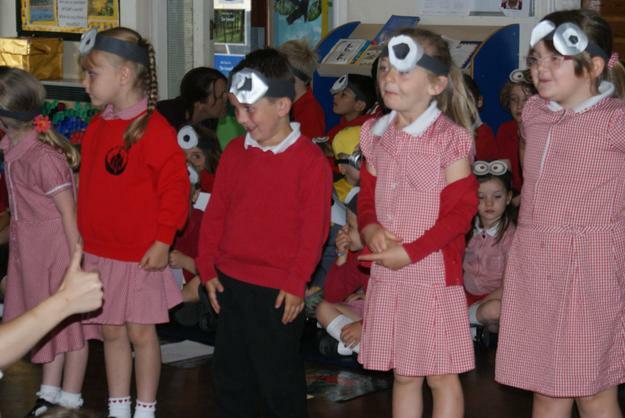 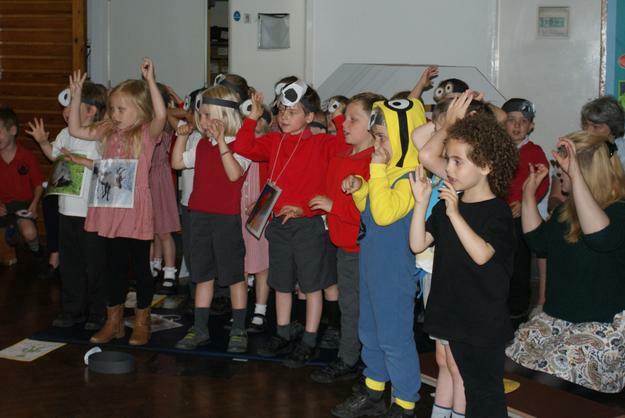 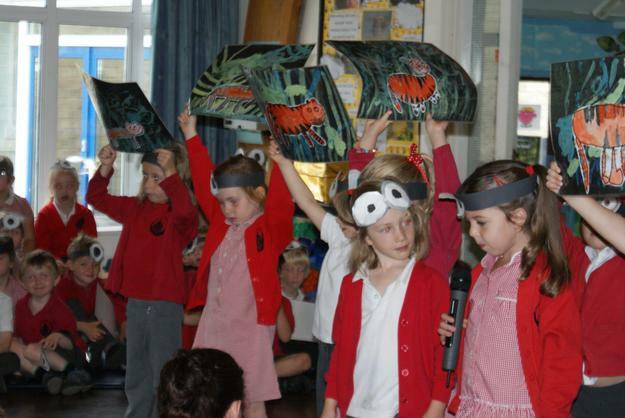 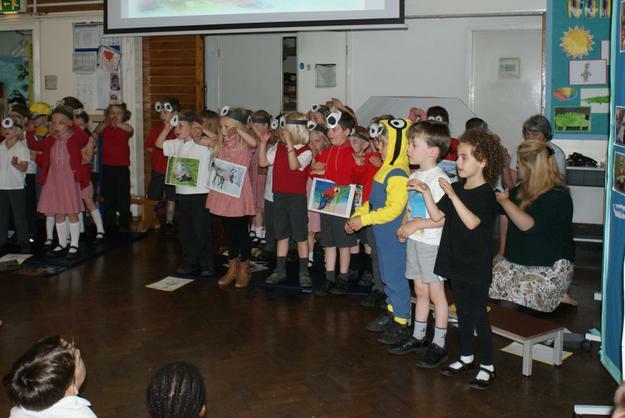 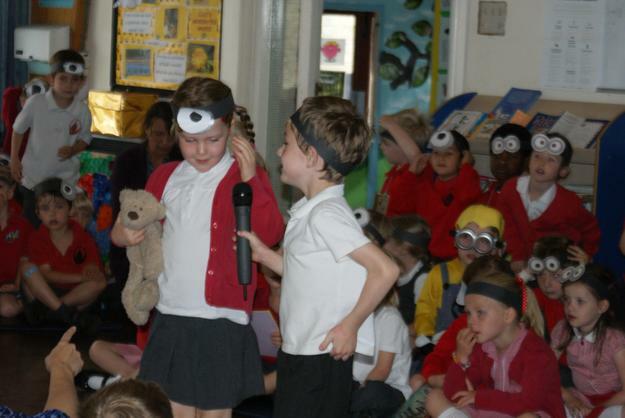 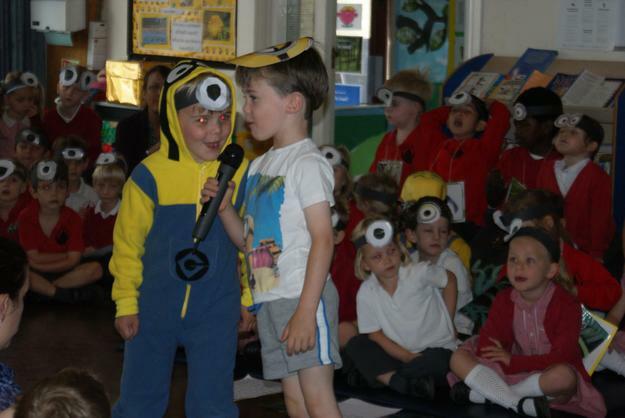 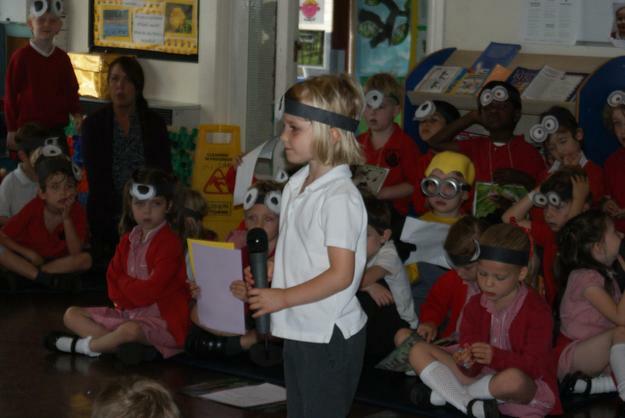 All the children spoke, sang and performed confidently. 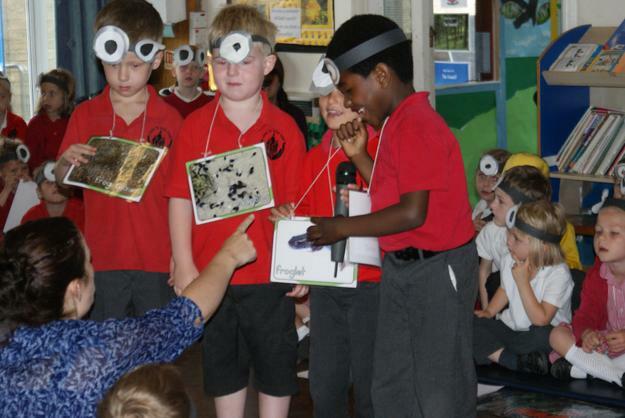 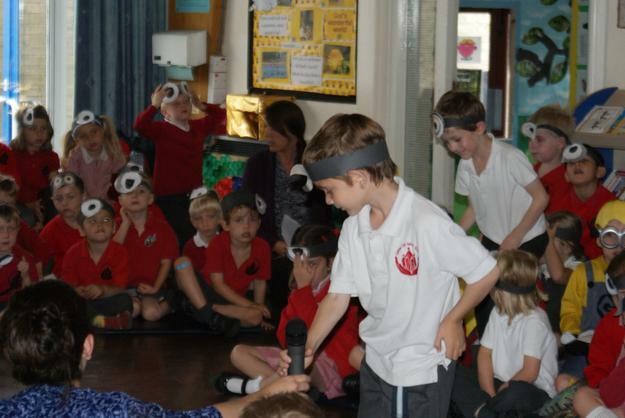 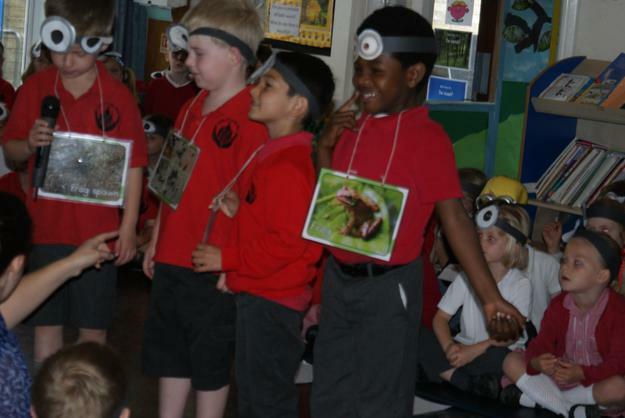 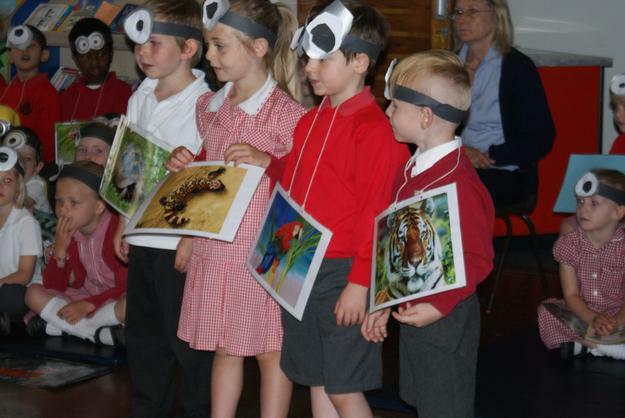 It was great to hear how much they all knew about animals! 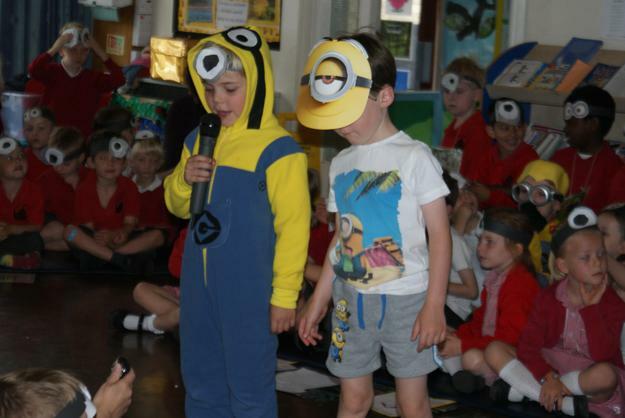 The minions were most impressed with their little helpers and rewarded them with a special treat at the end of the morning. 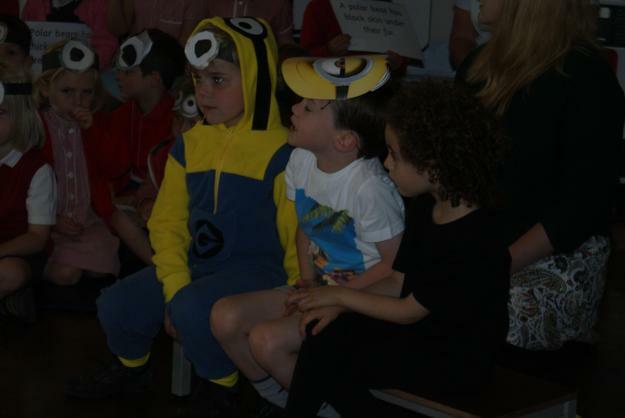 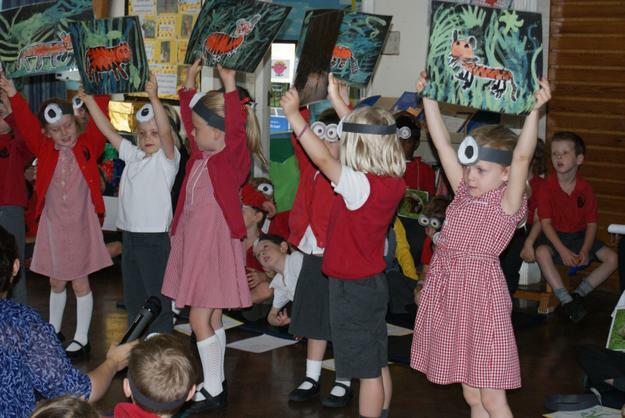 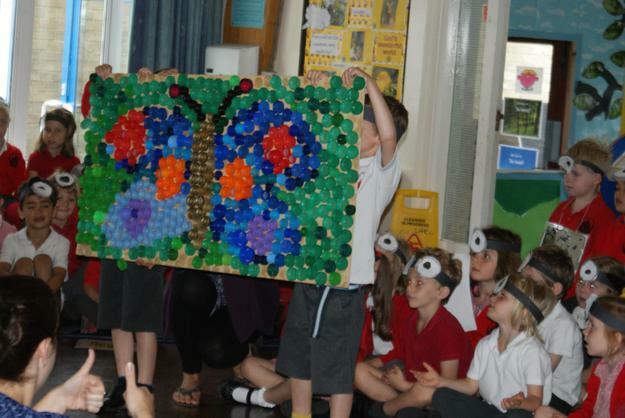 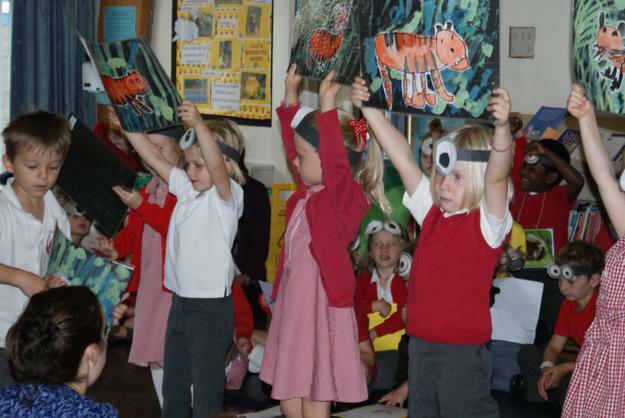 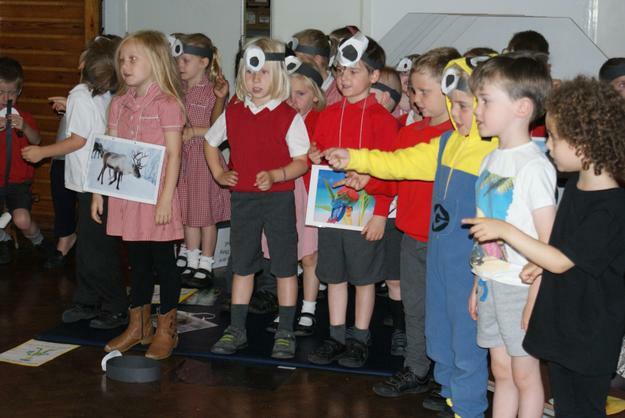 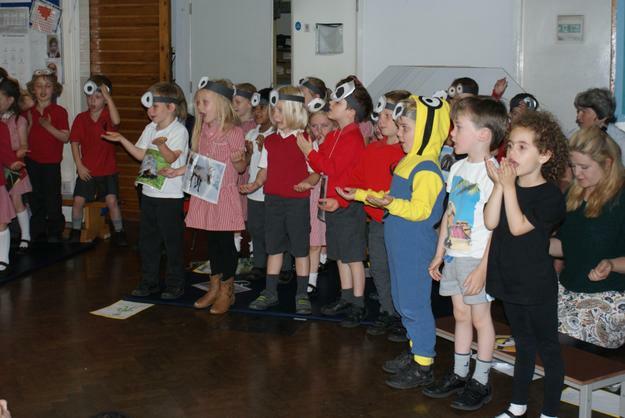 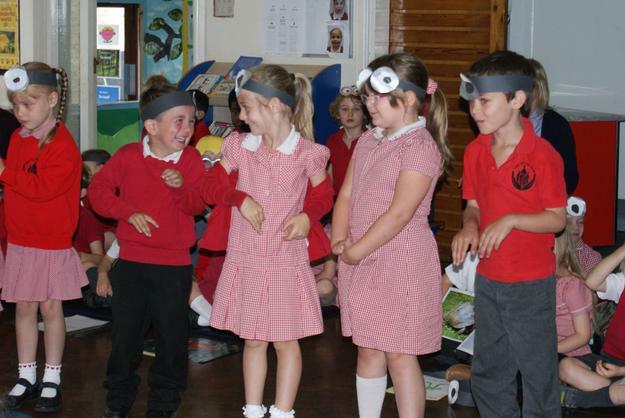 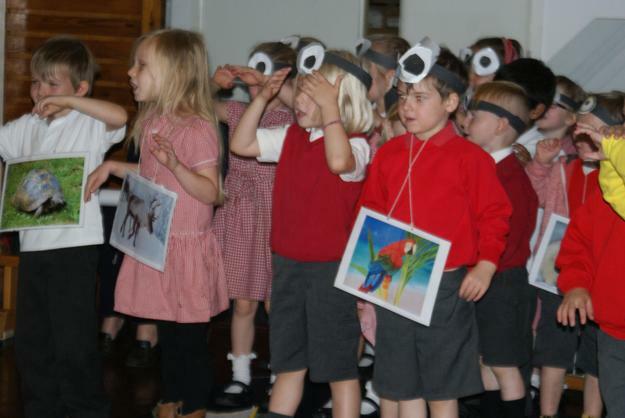 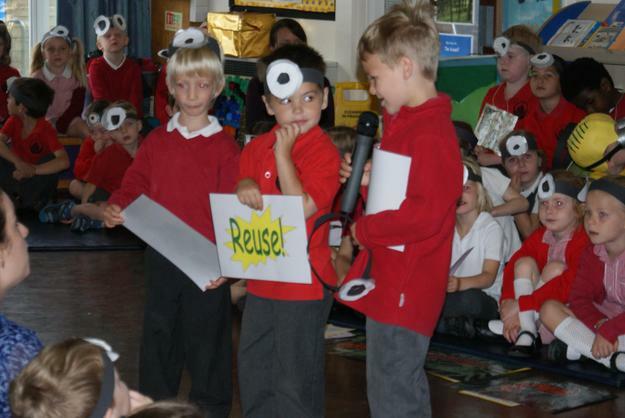 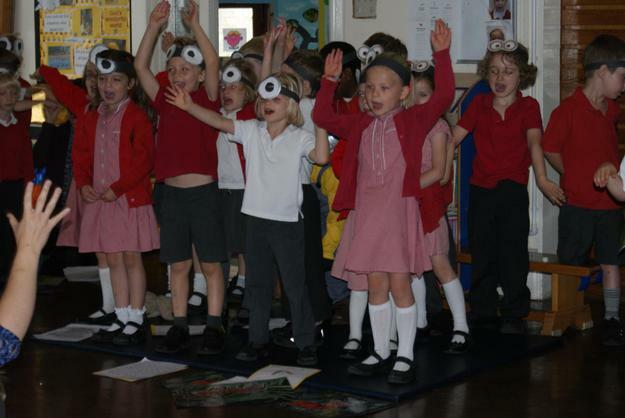 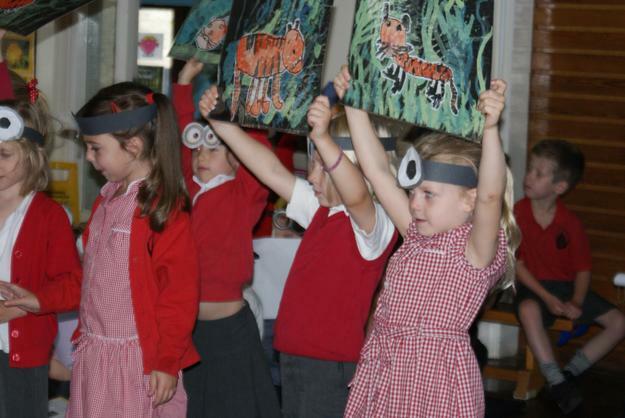 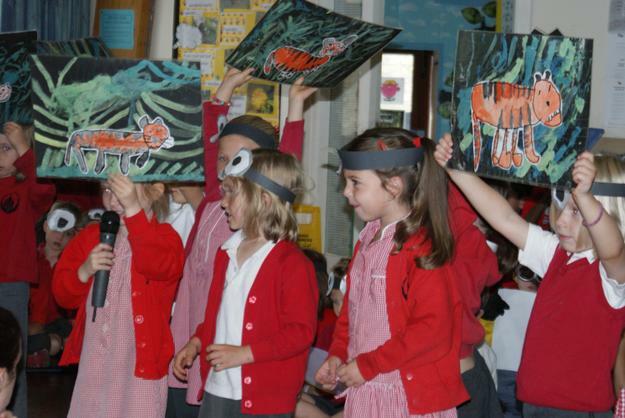 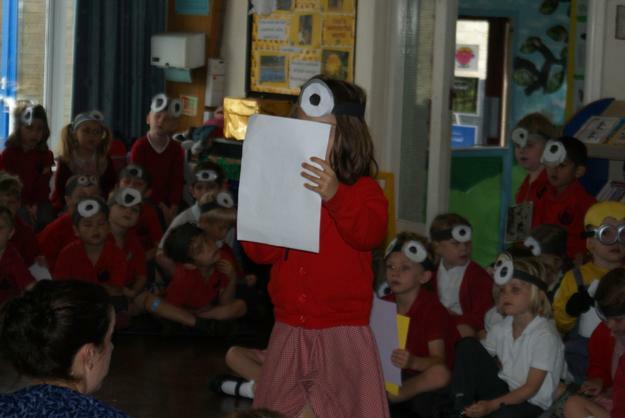 Thank you to the audience who supported the children well during the show.